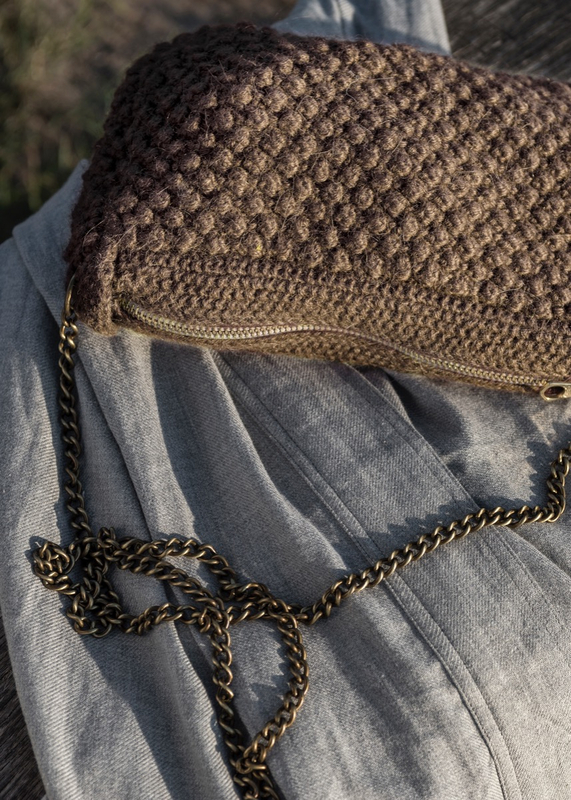 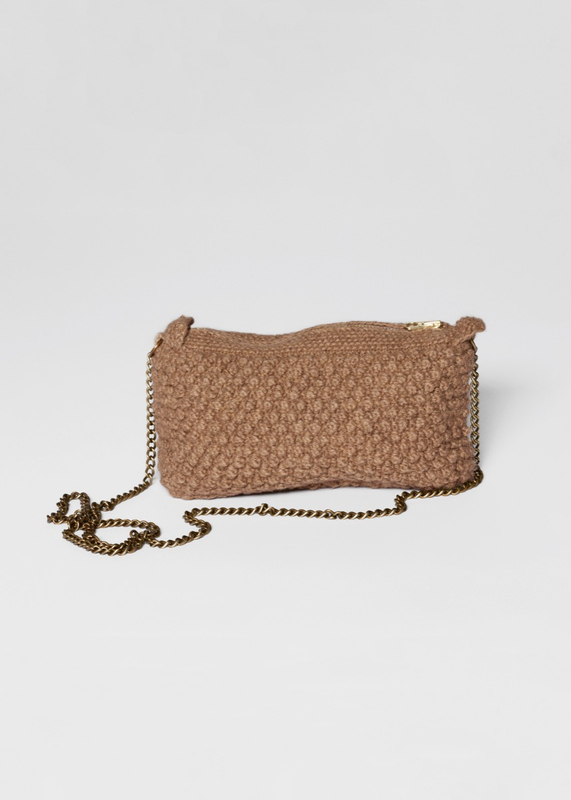 Our HELEN is a handknitted clutch made in Bolivia from the softest baby llama wool. 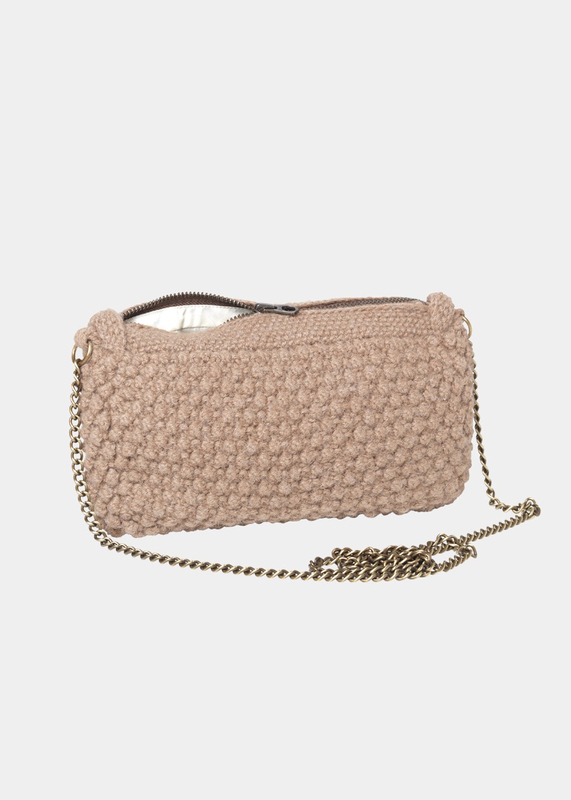 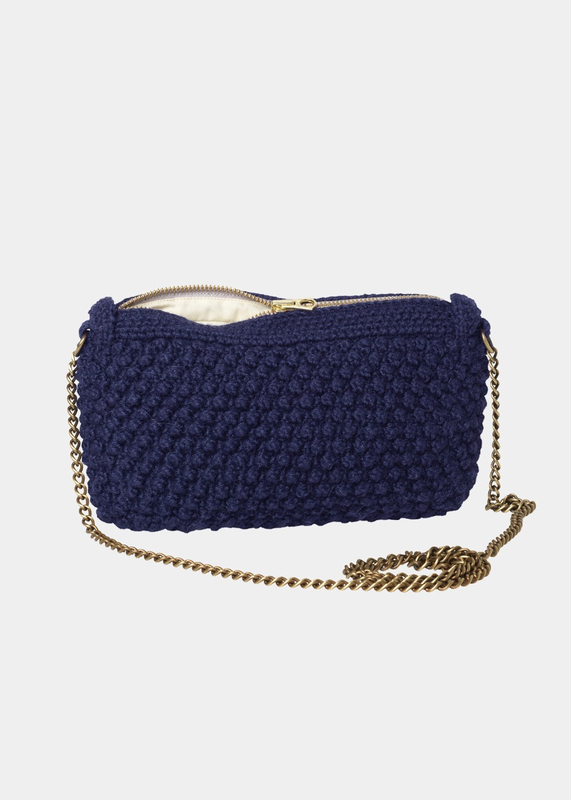 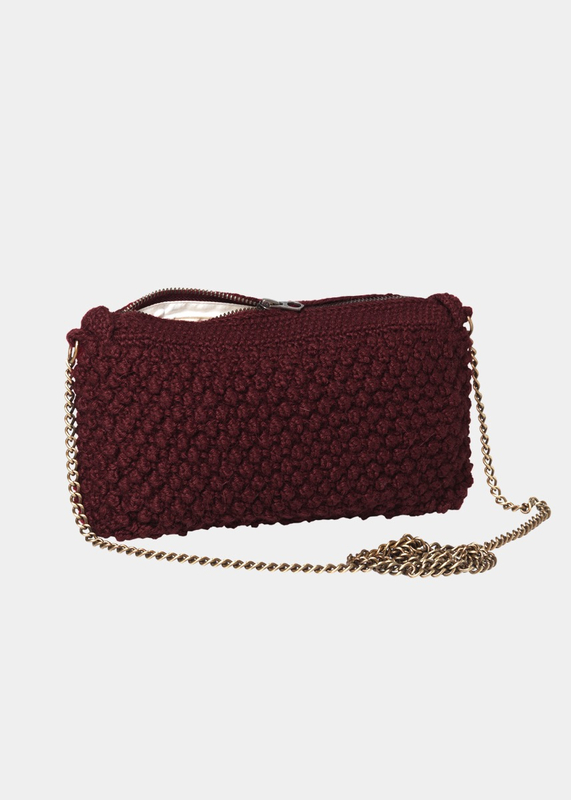 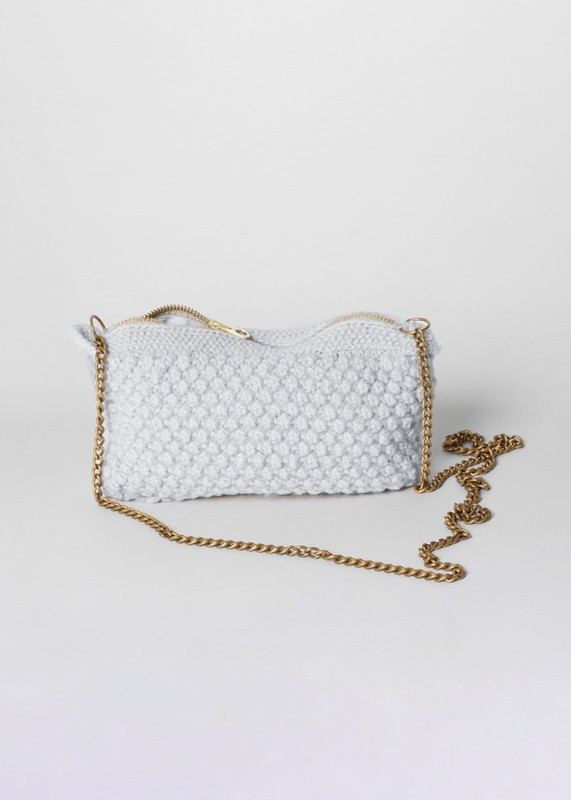 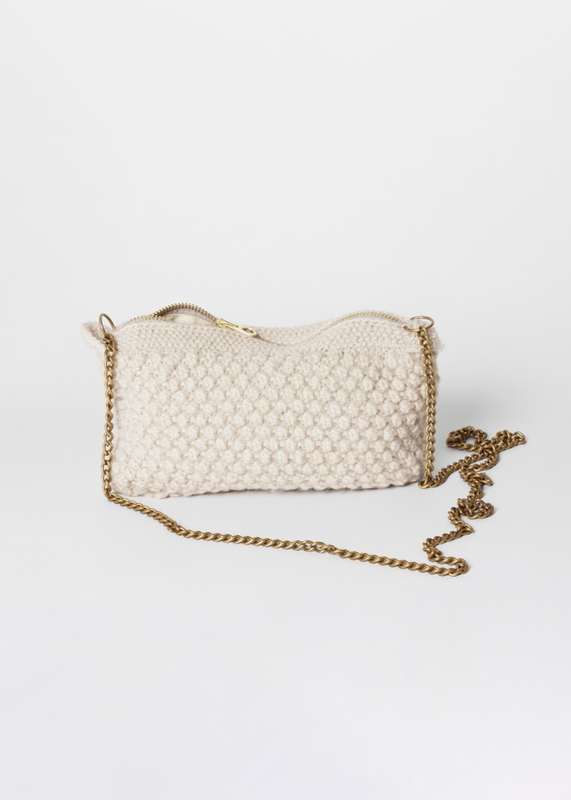 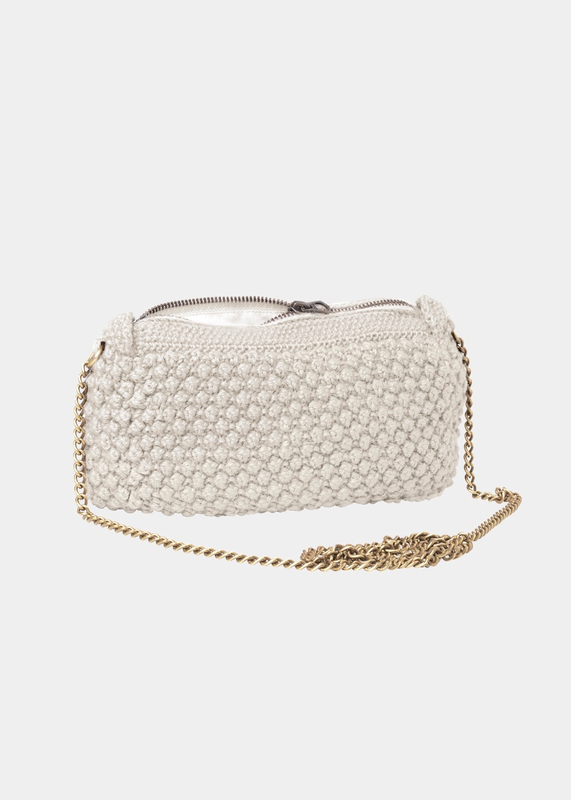 The clutch is made in beautiful bubble-knit with a crochet top, and has practical details such as zip closure, inside zipper compartment and cotton lining. 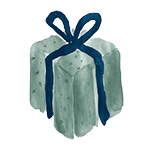 Use it as a trusted carry-all bag for parties, for storing your make-up, or for other small treasures. 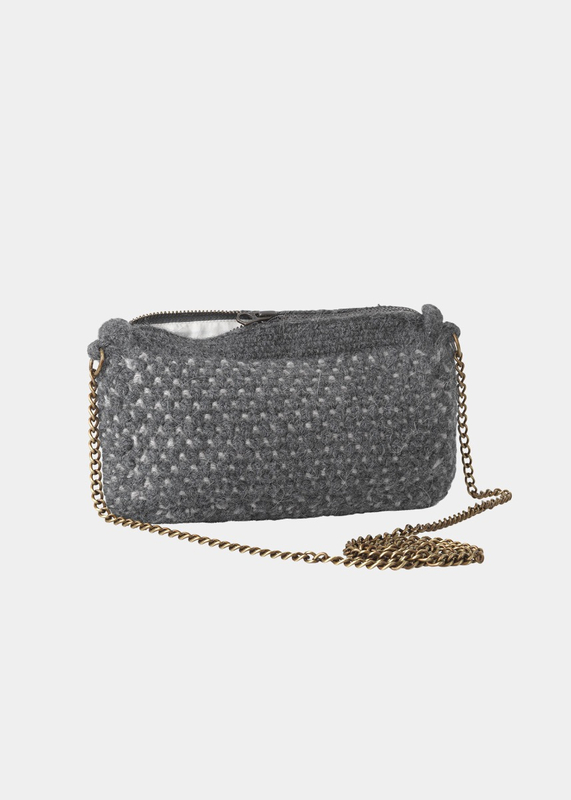 The shoulder strap is a brass chain, making it the perfect shoulder bag.